Few people will argue that Glenn St. Charles is one of the few "Great Ones" left. 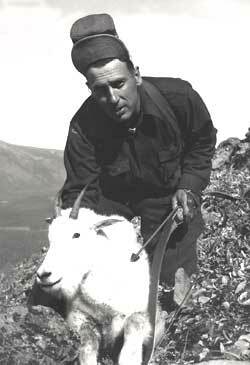 He was born in 1911 and started bowhunting in 1926 - before bowhunting was even considered a hunting method. He founded the Pope and Young Club for reasons that may surprise you. 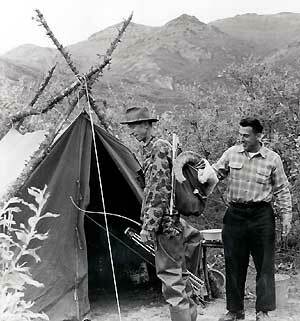 He spent many campfires alongside some of the greatest bowhunters of all time, including his good friend, Fred Bear. And he lived through an era that many people only dream of now. 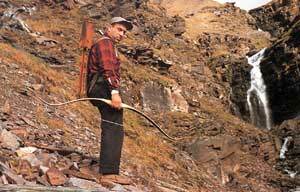 Listen to Glenn, in his own words, as he shares his stories, views and insight after a lifetime of hunting with the bow and arrow. 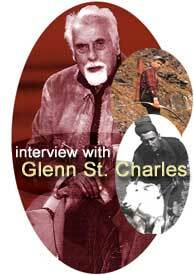 Note: this interview is a multimedia format so you can listen to the delightful stories and insight as only Glenn can tell them. It requires a Windows Media player to listen. Click this link to download the *free* RealPlayer. 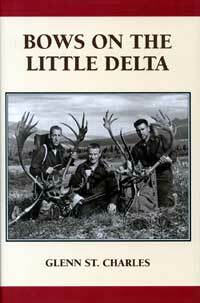 Bows on the Little Delta is a recount of Glenn's hunts during the 40's,50's and more. The centerpiece takes place on Alaska's Little Delta River. 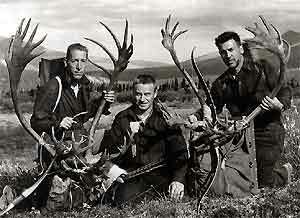 Stories of hunting with Fred Bear and others, Glenn's life as a pioneer of bowhunting, his philosophy and thoughts. 400 pps and over 200 photos. It can be purchased from many of our sponsors including Kustom-king.com and 3riversarchery.com or you may order it direct from Joe St. Charles at selfbow.com - I highly recommend this book to all serious bowhunters! !